Like Fisker's Karma but need a little more room for the kids -- or maybe the dogs? Check out the Surf. Fisker just unveiled this new five-door at the 2011 Frankfurt Motor Show and, while it's based on the Karma (that has just finally entered full production), as you can see it's grown a bit. 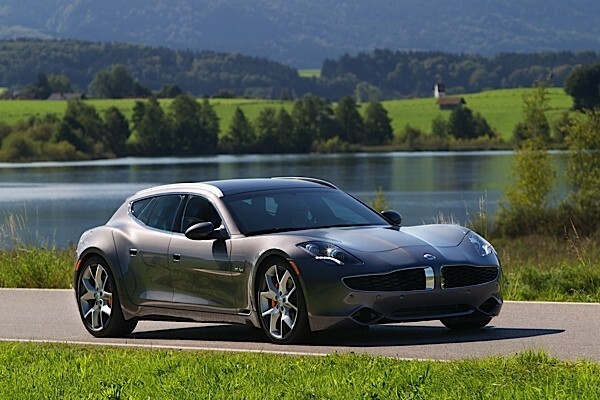 It's a five-door version of the iconic shooting brake body style (a three-door sporty hatchback) that houses the same series hybrid powertrain that powers the Karma. That means 80km (50 miles) of pure electric driving and, thanks to the gasoline motor in there that acts as an onboard generator, you can go up to another 400km (about 250 miles). Because of the similarity between the two cars this prototype was actually able to roll off of the Fisker assembly line, and it's said to go into production sometime in mid-2012. Fisker also announced a new partnership with BMW, which will provide the 2.0 liter engine that will come along for the ride. Interestingly the car will be built in Delaware, meaning this European beauty has some decidedly strong American roots. Fisker Surf plug-in hybrid: five doors of good Karma originally appeared on Engadget on Tue, 13 Sep 2011 08:17:00 EDT. Please see our terms for use of feeds.